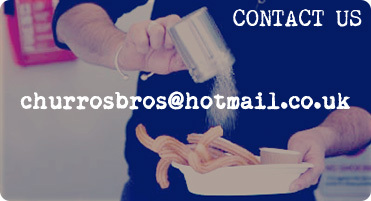 We are the Churros Bros. 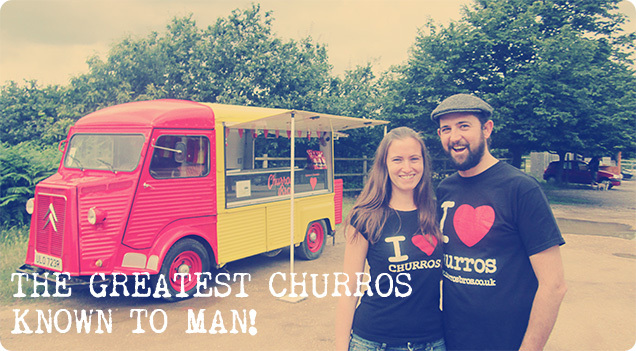 Spreading the Churros love since 2007! We stay firm to our original concept of providing an exciting fresh ethical and organic product to festivalgoer's and street food lovers. A sweet treat, beyond expectation. We want our stall to be a lasting memory for people. 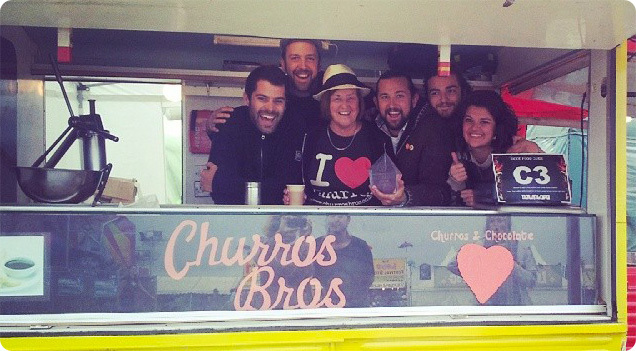 Not just an awesome snack, hangover cure or fun thing to share in the wee hours, we like our customers to enjoy hanging out at the Churros van. 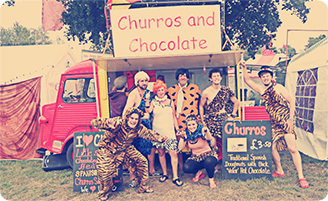 A bit of good music a lot of banter and ultimately the best damn Churros and Chocolate this side of Madrid. Because of this we have become a festival favorite, a go to place for newcomers and old friends alike. Accept no imitations! We are proud to be working with Allpress in Shoreditch. Not only do they provide us with the best and freshest roasted beans every week, they train all of our baristas. 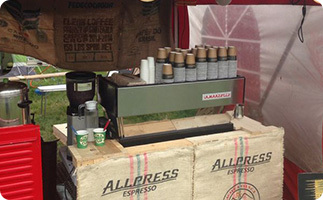 Look no further for the "best coffee on site"